Our Moose Supply Heavy Duty Waterproof Hay Tarp Covers are the perfect choice for farmers and ranchers by offering superior protection to the food supply of their livestock by reducing the potential for dangerous mold, toxins, and other threats. These silver hay tarp covers perform in a manner that keeps your hay cooler and dryer, all the while preserving the nutrient value that is so critical to the well-being of your livestock. These outdoor hay tarps are ideal for heat-sensitive or light-sensitive storage and were engineered for all-weather usage, offering protection from weather and the elements. Constructed from ultra-strong, 14x14 heavy-duty fabric weave polyethylene with a 12 mil thickness that is triple layered, these hay tarps are built to last and laminated to resist tears, mildew, rot, and acid. 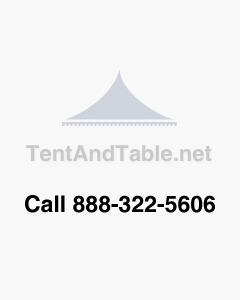 These tarp covers have heat sealed seams, hems that are rope reinforced, rust resistant grommets and thick plastic-reinforced corner construction for superior durability and longevity. What's more, is that these Moose Supply Heavy Duty Waterproof Hay Tarps come with attached black strapping to assist in anchoring and tie downs.